Sidney Griffin 'S.G.' Raper, Jr.
Sidney Griffin 'S.G.' Raper Jr., son of Sidney Griffin 'S.G' Raper, Sr. and Ora Faye Jenkins, married to and buried in Melody Yingst and buried in Washington Cemetery, Foyil, Rogers County, Oklahoma. Funeral service for Sidney Raper will be 2 p.m. Friday, Oct. 2, 2015 at Hilldale Baptist Church. Pastor Earl Skaggs will officiate. Burial will follow at Washington Cemetery under the direction of the MMS-Payne Funeral Home & Cremation Service. Visitation will be held on Thursday from 1-8 p.m. with family receiving friends from 6-8. 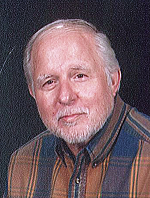 Sidney (S.G.) Griffin Raper of Claremore, Okla. passed into to his heavenly home on Tuesday, Sept. 29, 2015 at the age of 76. The son of Sidney Griffin and Ora Jenkins Raper was born on Oct. 16, 1938 in Santa Anna, Texas. The Rapers made their home in Lawn, Texas. Where Sid’s family owned and operated Lawn Trucking Company. As he became school age, Sid attended Lawn Schools where he played football and was an active member of the Future Farmers of America. He graduated from Lawn High School in 1956. Wanting to continue his education Sid enrolled at Texas Tech University in Lubbock, Texas. Sid later married and settled in his hometown of Lawn. At that time he began ranching and raising Angora Sheep. It was also while living in Lawn that his first daughter Pam was born. A few years later Sid moved his family to Ft Worth, Texas. There his second daughter Paula was born. While in Ft. Worth Sid worked for General Dynamics and began his love for precision machine work. He moved to Oklahoma in 1969, making his home in Claremore in 1970. For a time he worked at Telex and later was general manager at Kae-Jac. He eventually moved on to open his own machine shop, RPM Manufacturing. On Sept. 23, 1989 Sid married Melody Yingst and his family grew to include Shelley, Brad and Melisa. Sid enjoyed traveling and seeing new sights. Sid is a member of Hilldale Baptist Church in Claremore, Okla. He spent many years driving the church van for vacation bible school and lending a hand where ever needed. Sid had an easy smile and wonderful sense of humor in most situations. Sid watched as many of his own grandchildren accepted the Lord. Survivors include his wife Melody Raper of Claremore; children, Pam Phillips of Chelsea, Paula Roland and husband Brian of Claremore, Shelley Brumley and husband Nelson of Winona, Texas, Bradley Yingst and wife Amy of Friendswood, Texas and Melisa Green and husband Heath of Adair; 9 grandchildren; brother, Ronald Raper and wife, Sue; sister, Sylvia Rose; and several nieces and nephews. Memorials may be made to Hilldale Baptist Church at 21085 S. Keetonville Rd, Claremore, Ok 74019, the Parkinson foundation of Oklahoma at 720 W. Wilshire Blvd, Suite 109, Oklahoma City, OK 73116, The American Cancer Society P.O. Box 22718 Oklahoma City, Ok 73123. View and sign Sid’s online memorial at www.mmsfuneralhomes.com.